Grant Barnett have a long history making and supplying all sorts of umbrellas from compacts and promotional golf umbrellas right up to high end luxury umbrellas costing hundreds of pounds. 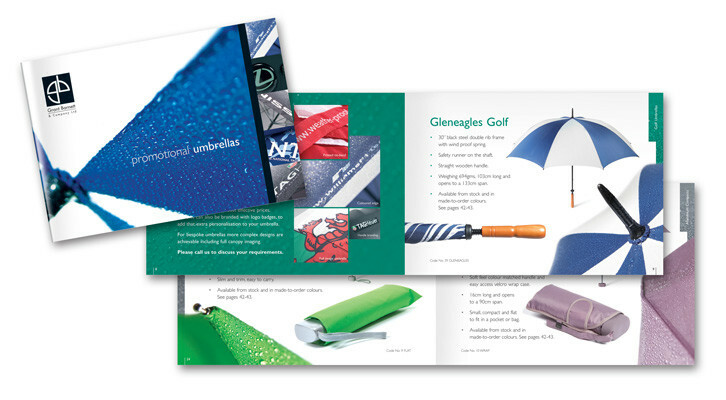 We were initially asked to design a brochure of their promotional range. We looked at their competition and decided to do something different, commissioning creative abstract photography and using a smaller page format than the opposition but giving a whole page over to each product. The result is a brochure where each product can actually be seen and appreciated. 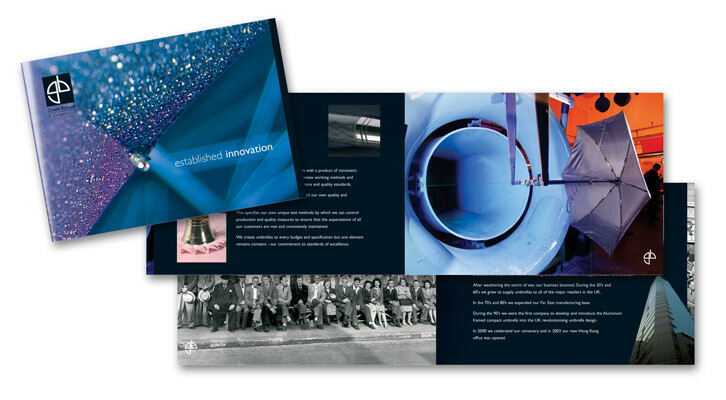 We also produced a corporate brochure to promote the company’s history, quality and technology.